Chromebooks are a great alternative to Windows- and Mac-based laptops if you’re on a budget and mostly just need a machine to browse the Web. Now, they’re about to become a lot more useful. Codeweavers, which makes an app to run Windows on Mac and Linux systems, has announced that it’s launching a technical preview of Crossover Android. The new software will allow you to natively run Windows on your Intel-based Chromebook – and it’ll be available for free. Another caveat is that this only works with Intel-based devices; as such, there are only a handful of Chromebooks that will support CrossOver Android, like the Asus Flipbook, Acer Chromebook r11 and last year’s Chromebook Pixel. 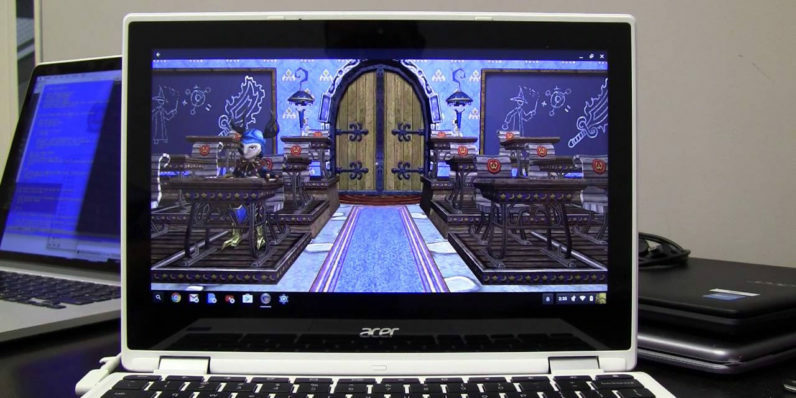 However, Codeweavers president James Ramey believes that’s only a temporary setback, as more Chromebooks that meet the hardware requirements necessary to run Android apps (and CrossOver) are set to launch later this year. He also notes that CrossOver will also work with Intel-based Android tablets. Codeweavers says it’ll likely take you about an hour to install CrossOver on your compatible Chromebook. If you’ve got the right gear and the time, you can sign up now for access to the preview. If you get a chance to try CrossOver Android, let us know your experience of it in the comments.